The post 6 Things Fathers Should Think About if They Want Equal Parenting appeared first on Divorced Moms. 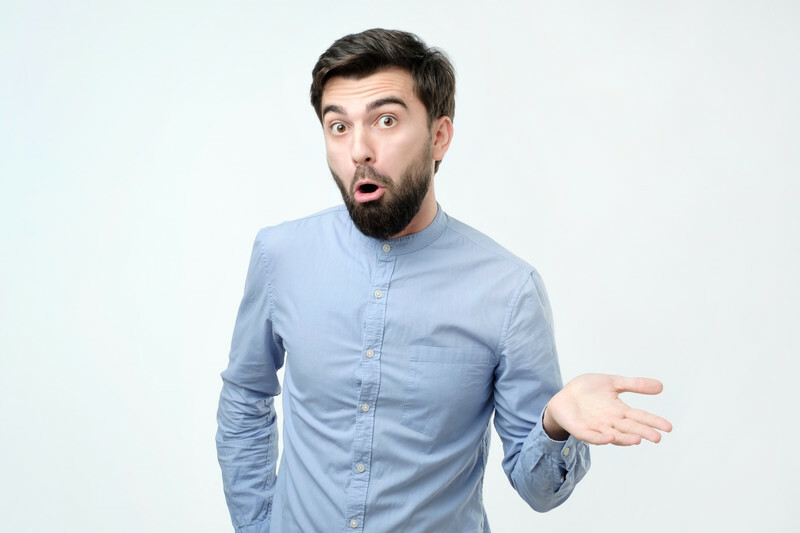 During divorce, a judge will use a doctrine known as “the best interest of the child” to determine issues such as child custody and visitation of any minor children. It is a subjective, discretionary test, in which all circumstances affecting the child are taken into account. The word discretionary is important because, although states have laws defining what is meant by “best interest” of a child a judge has great leeway in determining the above issues. The importance of continuity in the child’s life and the length of time the child has lived in a stable, satisfactory environment. Each parent’s or caregiver’s past and potential for future performance of parenting responsibilities, including the willingness and ability of each of the parents and caregivers to facilitate and encourage a close and continuing parent-child relationship between the child and both of the child’s parents, consistent with the best interest of the child. As you can see, the majority of the factors used by a judge to decide custody and visitation arrangements are quite subjective. A judge’s personal feelings and opinions are more than likely what will determine a case, not a true legal standing in family law. The standard is supposed to promote uniformity and take into account the rights of a child to a loving relationship with both parents. Instead, it is often criticized because it is easily manipulated by family court judges. Some who argue against the “best interest” doctrine say that it is nothing more than an excuse for the courts to interfere with private family issues and has little to do with the welfare of children. Regardless of the broad discretion given to judges and the potential for its abuse the underlying goal of the “best interest” standard in family law shouldn’t be ignored. It is, after all, all we have at this time in family law that attempts to advance the rights and welfare of our children. The post How The “Best Interest” Doctrine Fails Our Children appeared first on Divorced Moms. One comment caught my attention due to its astounding show of immaturity and it’s representation of how I feel some men attached to the Father’s Rights movement respond to divorce and custody issues. I had printed out the comment and came across it again while Marie Kondoing my house. It still, to this day has the same impact on me. Granted the grammar is bad but if you try hard you can make sense of it. Evidently, this comment was made by a father who has chosen to “bail” on his children, as did the father who was the subject of the Huffington Post article. If You Abandon Your Children You Have NO Excuse! What I find astonishing is the reason the commenter has bailed. He didn’t want to be used as a punching bag by the mother, the courts or society. I had no idea until I read that, that paternal instinct, fathering and loving one’s children was depended upon a mother’s actions, the court’s actions or the actions of society. No one forced him to leave his children. Nothing happened to cause him to lose his role as a father. He may have had divorce forced upon him along with a custody agreement he wasn’t happy with but, really, is that any reason to choose to no longer father your children? It’s like saying, “you people were mean to me so I’m taking daddy away from my children.” The guy actually punished his children by withdrawing from them as a father for something someone else did to him. And, in his mind, he thinks he has done his children a favor. Why can’t I wrap my mind around this justification? Probably because it is irrational and totally out of touch with what his children needed from him REGARDLESS of how difficult he found it to remain in their lives. Plus, in my experience with divorce, I’ve known of the inability of the Family Court system to deal appropriately with the issues of divorce, custody and all things related BUT, at no time have I formed the belief that that was any reason to bail on my child. Their seedy underbelly is too vocal and in being so they reflect poorly on the Father’s Rights movement and men who don’t abandon children for any reason. There is a small fringe of this movement that has declared war on women and children and that fringe keeps those who are truly concerned about their rights as fathers from being taken seriously. Nothing will change in our dysfunctional Family Court until mothers and fathers work together to change the system. As long as some members of the Father’s Rights movement insist on accusing women of victimizing them via the court system and excuse each other for abandoning their children, women and mothers will have no interest in working with them in any capacity. If men want shared or 50/50 custody of their children they are more likely to change custody laws if they are working in union with women and mothers, not blaming them but working with them. Men, women, and children are harmed during divorce. A lot of that harm comes from a system that is in dire need of reform. That reform isn’t going to take place if fringe elements of angry men are allowed to continue to spew venom and anger from their keyboards. Let’s face it, as parents, we can’t get what we all want for our children, what is in their best interest until we all come together and stop blaming each other. The post If You Abandon Your Children, I Don’t Want To Hear About Your “Father’s Rights” appeared first on Divorced Moms. My divorce was tame compared to some. There were no domestic abuse issues, no custody battle issues; we went our separate ways with no physical harm done. I can’t say the same about emotional harm but, as I learned the Family Court System is ill-equipped to handle the conflict created when a man has a personality disorder or is hell-bent on using the system to punish their ex. As a matter of fact, it is my opinion the Family Court System is ill-equipped to protect anyone whose divorce is high conflict. Judges, Attorneys, Psychologists, and other court-appointed personnel EXPECT divorce to be one size fits all and when it isn’t lack the skills to support civility. What you get are platitudes and an attitude that if you are engaged with an ex who creates conflict you must be playing a role in the conflict also. If I had a dollar for every person I’ve heard from and worked with who felt let down by the Family Court System, I’d be sporting a new pair of Manolo Blahniks. How the family court fails to protect women. In my years working in the divorce industry, I’ve not heard one story in which a defiant, in contempt man, was held responsible by a Judge. If you are a mother dependent on child support you will find very little protection from the Family Court System. 2. Crushing Financial Expense: If you are engaged in a custody battle or high conflict divorce you will find little or no legal support from the Family Court System. Especially if you are in a “he said, she said” situation that increases the time involved in the divorce process. Judges have little patience for those who stall their docket and divorce attorneys who thrive on prolonging the conflict to enrich their practice do nothing but encourage the conflict. 3. The Best Interest of the Children: The Family Court is set up to protect the rights of both parents, which in turn will supposedly protect the rights of the child. This concept is meant to be in the best interest of the child since the focus is on equitable rights for both parents. But, how do you “equitably” divide a child? Custody battles take place when one parent feels they are better equipped the care for children than the other parent. Personality disordered individuals will use the Family Court System to abuse an ex-spouse which leaves the children as collateral victims. 4. Domestic Abuse Cases: Abusers use the court system to exert control over an ex-spouse. They manipulate attorneys and judges who end up playing a role in further harm being done to the ex-wife and children born to the couples. The very people who the courts are sworn to protect! When a mother, the parent most likely to make accusations of abuse of herself or her children enters the Family Court System she and her accusations of domestic abuse are met with suspicion and it has been my experience that judges don’t want to hear it. Many mothers are tuned out and turned out into the cold with few resources because the Family Court System would rather hear a story of cooperation…the “happy divorce” gets much more attention than the high conflict divorce. After all, happy divorces, those with little or no conflict are quick and easy for a judge to run through his/her docket. Here is an example from personal history with the Family Court System of how women are viewed if you attempt to use the system to protect yourself and your children. I have a friend who is a divorce attorney. She has been privy to the issues in my divorce that kept my ex-husband and me in and out of court for seven years. She knows how many times he defied our divorce agreement and what that defiance me for the children and I.
I recently posted a comment on a Facebook discussion she was having about something that had occurred in the local Family Court. It is has been years since I’ve been involved in that particular court system but, due to my profession, I remain curious about changes. When I questioned her about the issue, asking about names and the particulars she replied to me by saying, “Please Cathy, don’t stir the pot.” Stir the pot? Her belief that I am a pot stirrer is based on the fact that my ex defied every aspect of our final divorce decree and I filed petitions for contempt to have him held responsible. I’m the bad guy for holding him accountable!! In my friend’s eyes, I’m someone who stirs the pot or makes waves because I expected a system that is set up to protect my children and me, to actually protect us. I had the audacity to use the system in the way it was set up to be used. And due to that, I am viewed in a more negative light than the person who defied orders from the judge, emotionally abused his children and caused those he left behind extreme financial and emotional distress. Bottom line, the Family Court System fails us by not protecting those who use the system as the system was designed to be used. If you are a mother trying to protect your children, your assets or your legal rights via the Family Court System, the cards are stacked against you. The post 4 Ways The Family Court Fails To Protect Women During a High Conflict Divorce appeared first on Divorced Moms. If you’ve been through a divorce or, you are thinking about divorce one of your main concerns will be how your divorce will impact your children. Study after study relates the ways in which divorce negatively impacts children. It’s no wonder parents worry about their children’s welfare based on common information about the subject of children and divorce. 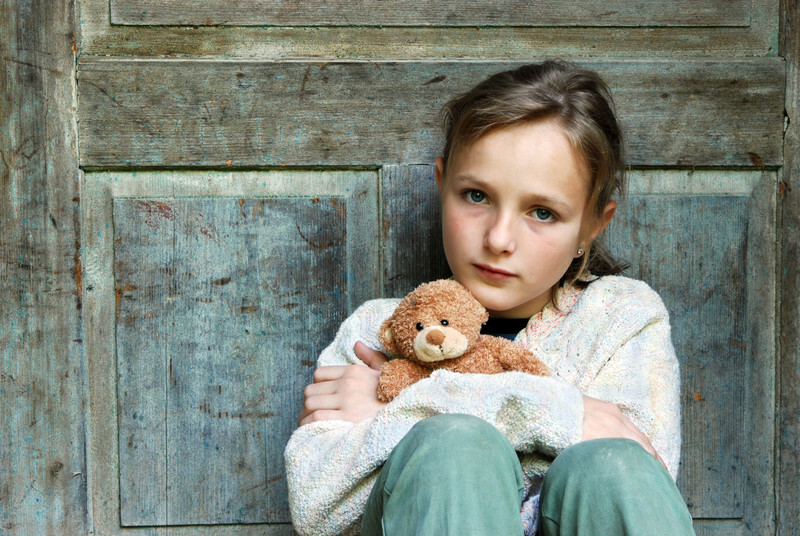 Divorce can negatively impact children but there are ways to keep that from happening. You should know that the impact your divorce will have on your children dependents mainly on how you and your spouse choose to treat each other during and after divorce and, how you choose to parent. Children who witness conflict between their parents during and after divorce or, feel as if they have been put in the middle of that conflict are negatively impacted by divorce. If you want your divorce to do little harm to your children, it’s your job to keep down conflict and keep them out of the middle of problems between you and your ex. You may feel that conflict during divorce is unavoidable or the fault of the other parent, regardless of what you feel, it is imperative that you take the steps needed to keep your children from witnessing conflict and feeling stuck in the middle of two angry parents. Below are 4 common ways children find themselves stuck in the middle of their parent’s conflict during and after divorce. When parents use their children as a messenger or a means of finding out information about the other parent’s home, dating life, and social activities. Negative comments about the other parent made by you, friends or family members. Sharing adult details about the problems between the parents. Details such as information about infidelity, legal divorce proceedings or the reason for the divorce. Garnering the child’s favor in an attempt to use the child to punish the other parent. Talking to the child about money issues. A late child support check, a lack of money needed to pay the rent…adult financial problems that children have no control over. Divorce brings an end to your marriage, it doesn’t bring an end to your duties as a parent. One of those duties is to put a concerted effort into positively co-parenting with your child’s other parent. Below are a few suggestions that will help. If there is a lot of conflict between you and your ex, parallel parenting is appropriate. Why? Parallel parenting allows each parent to remain a part of the child’s life while reducing the need for contact with each other. When parallel parenting, there is very little communication which, in turn, keeps down the conflict and protects the child from being impacted in a negative manner. Communicate through email, a third party or an app like Family Wizard to stay informed about issues involving the children. Discussions are strictly about the children and no personal issues between the parents. Use of a phone to communicate is only done in cases of an emergency. Schedules such as visitation, vacations and holidays are strictly kept. There is no negotiating for different days and times to keep down the likelihood of conflicts arising. There is a set residency agreed upon or ordered by the courts. When the children are in the care of one or the other parent in their residence neither parent interferes with social activities, routines or anything that takes place in the other parent’s residence. Neither parent has any influence over the other parent and how that parent chooses to spend time with their children. If one parent has an issue with the way the other parent is choosing to parent in their residence, the court is used to settle the issue. Parenting is treated as a business arrangement. Common courtesy is shown at all times and agreements are honored because the sole purpose of parallel parenting is to do what is best for your children. When communication or negotiation is necessary, parents can choose to have a third party involved to witness and if needed mediate and conflict that arises. Child support payments are filtered through the court or a child support collection bureau to keep down any possibility of late payment or conflicts of over payments. Cooperative parenting works best when there is low conflict between parents and the parents are able to work together for the sake of the children. With cooperative parenting, there is more flexibility when it comes to visitation schedules and residency issues. Parents form a friendly business relationship that revolves around the needs of their children. A courteous and polite relationship is one that will go a long way toward making sure children have what they need from each parent. Parents are able to talk, face-to-face about parenting issues as they arise. They are able to stick to the topic at hand without becoming distracted by old relationship issues. They don’t expect praise or emotional support from each other. They realize that part of their relationship has ended. But, they are able to show empathy and to support each other during difficult parenting issues. Keep all discussions about parenting, visitation, schedules and such to themselves and don’t involve the children. They come to a firm decision, as parents, before involving the children in their decisions. Are able to, at all times, put their children’s needs above their needs and feelings. Their relationship with the other parent is strictly about what is best for their children. Are able to communicate via phone or in person without engaging in conflict. Child support checks are mailed directly to the parent receiving the support. Due to their business like relationship, they both understand the importance of meeting their financial obligations to their children. Whether parallel parenting or cooperative parenting, it is important to remember that one method is not better than the other. Each method will result in lower conflict and, as a result, better parenting. And, that is your goal as parents, better parenting and keeping your child out of the middle of your divorce issues. The post 2 Parenting Styles That Keep Your Children Out Of The Middle Of Your Divorce appeared first on Divorced Moms. Child support, the bane of some non-custodial parents’ existence, is ordered for children to equalize the standard of living if there is a great financial divide between households. For the father of my child, it was a tool for harassment, a bullying card if you will until I agreed to impute my own income. He threatened to take me to court because I wanted to use the calculation worksheet using actual income figures. I am in a fortunate situation where I can still provide the necessities and more for my child at this point. So even though his income is four times greater than mine, I agreed to a reduced child support — to avoid court and the stress that brings and to take away the power play he has wielded for the past 11 years. In other words, I agreed to reduced child support to avoid his continual attempts to manipulate. 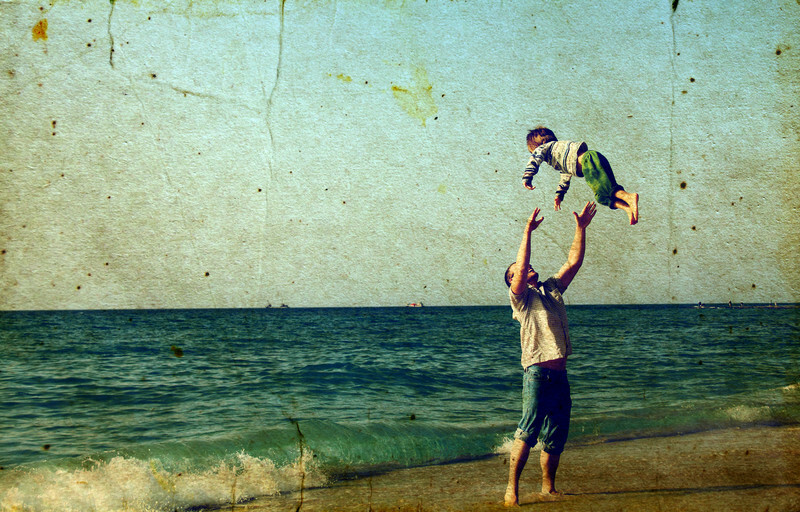 Child support is for the child’s expenses and considered the right of the child. He preferred to pay a lawyer thousands of dollars to find unscrupulous ways to reduce it. It always baffles me when fathers would rather pay to support their lawyer’s children than their own. I liken it stealing from his own flesh and blood. His lawyer told me he wanted to deduct from her child support the gas money it cost him to drive the 15 miles to start his parenting time. He took it off the table when I told him it was ridiculous and I agreed to impute my income. I have no clue from what depths a person’s mind must sink to come up with that kind of deduction. I am not a psychologist and make no claims to be able to evaluate someone’s mental health, but when I read an article about covert narcissists, I thought of him. We started the parenting journey together in an unconventional way — I posted an ad on Craigslist looking for a sperm donor and was open to co-parenting. Before my daughter was born, we spent about a year getting to know each other to make sure we could get along, had similar values and ideas about how to raise a child and quite frankly figure out if the other was crazy. You never know on Craigslist. There are plenty of horror stories and no one wants a horror story to also be a lifelong commitment. When we first met, he told me he was 45 but I soon learned he was over 50. He apologized and although my intuition screamed RED FLAG, I forgave him. That was a “fool me once” I should have taken more seriously. They may just be words but within them contain the essence of how he viewed me — as a vessel to house a fetus and then as a paid caregiver once she was born. If she had been born around the time The Handmaid’s Tale came out I’m sure he would have given me a red dress and white bonnet. Yes, he supported my daughter with child support he had willingly agreed upon before I gave birth, but it was not enough to cover everything — rent, utilities, food, her expenses, and my personal expenses. It was time to go back to work at least part-time to help make ends meet. But in his mind, the child support — money used to equalize the standard of living in households (he made over $100k per year) — was a salary he paid me as if I were his employee. Our initial arrangement was for me to live in his house for a year so I could be a stay at home mom and then move out and go back to work. We thought this was in the best interest of our child and I was grateful for this arrangement. Unfortunately, it lasted only six weeks. Living with him was unbearable — without an income, he gave me money for necessities but he required an itemized list of expenses. When my mom came to visit for the birth and stayed with us, he chastised me for allowing her to sleep in the room with me. When he was home one day I asked if he could “watch” our baby so I could spend some time out with a friend (I was with her all week) and he not only screamed at me but the next morning before leaving for work slammed all the doors in the house to wake up me (and the baby). The list goes on and so I found an apartment not too far away and in a sense, escaped. Because I moved out of the city he lived in (about 11 miles away), parenting became “inconvenient” for him. Although he worked out of state all week, he wanted both her daycare and pediatrician to be within his city limits. In court, the judge asked him if he was willing to pick up our child from daycare on Fridays after he returned home from work to start his parenting time. He replied, “No”. The judge told him, “Then I guess you won’t see your child” and he was forced to concede her daycare and pediatrician would be close to where I live as the custodial parent. To punish me for his “inconvenience”, he threatened to reduce child support every few years. When he found out I paid a babysitter to go out once a week, he bullied. When I refused to pick her up on Sundays at 3 pm instead of the court ordered 6 pm (he only took her 1 night per week), he bullied. He didn’t only bully with money. When she was about two months old, he smugly told me he was going to have her baptized (he told me he had no interest in religion before she was born) even though we previously agreed she would be raised Jewish and I was planning her Jewish baby naming ceremony. Being a single mother to a baby or toddler is chaotic on its own. He added to the chaos by agreeing to something and then changing his mind just before the twelfth hour. I often felt like I was drowning in an ocean with my baby in one hand and my other holding onto a raft for dear life while he was standing on the raft squishing my fingers so they would release. I didn’t know if he would let us both drown or try to save her as I sunk to the bottom. When we had joint decision making on her daycare in our temporary order and I was going back to work, he would agree to a provider and then rescind. A couple of times when I knew he’d be in town instead of working out of state, I offered him to take her an extra night. Each time he would email me how he works hard all week and I lack understanding for his need to relax. 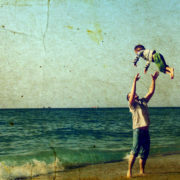 Instead of viewing an extra night with his child as a gift, he saw it as a potential favor to me. His game of retaliation usually began with chaos, followed by a threat involving money. My income, never again at the level I made in New Jersey where I’m originally from, was too low to compensate for the rising housing and food costs in my area. Unfortunately, until recently, I was dependent on some extra support. I take responsibility for posting the ad on Craigslist and can only caution other women from agreeing to a co-parenting arrangement with a sperm donor. Parenting is hard enough with two adults in a relationship who love each other. We walked into a minefield, both of us naïve to the realities of who the other person is. I honestly have no idea the breadth of his need for control, but I know he used his money and our daughter to push it to the limit. For some, an alternative arrangement like ours might work out fine. However, I advocate the traditional way — go to a sperm bank and use an anonymous donor. You don’t know the complexity of someone’s psychology if they only show what is on the surface. What triggers them, how they respond, any longstanding psychological or personality disorders they have — you’ll never see until a child enters the picture. If you plan on becoming a single mother by choice, do it with the one person you know the best — yourself. The post I Agreed To Reduced Child Support For My Daughter: Here’s Why appeared first on Divorced Moms. Most often, child custody battles are fought in court because ex-couples are unable to arrive at a mutually-acceptable out-of-court agreement on parenting their kids. Parents are generally aware that the outcome of the verdict will have a tremendous impact on their child’s future. This is exactly what makes the process scary since you don’t want an undeserving parent to win custody, while the worthy parent is unable to do anything about it. With adequate and proper planning, however, this scenario can be avoided. All it takes is a little preparation to legally keep your children with yourself. You can begin by ridding yourself of the anger and depression from the divorce and calming down. Emotional outbursts are certain to ruin your chances of winning custody. The cold hard fact is that custody battles are complex in nature. You cannot afford to go to court unprepared and expect a favorable verdict to fall into your lap. Here are a few pointers to bear in mind when preparing for a child custody hearing. Child custody and child support laws vary by state, which is why it is crucial that you acquaint yourself with your state’s laws and gain a general understanding of them before the hearing. Work with a local lawyer to get a tight grip on the basics of the legalities involved so you don’t feel lost during the proceedings. If you’re a resident of Oak Brook, Illinois, for example, it’ll help you if you’re aware that the child custody laws in this state allow parents and guardians the option of joint custody and recognize grandparent visitation rights, among other things. You can prepare yourself accordingly. For best results, work with a divorce lawyer as he/she will help you ask the right questions throughout the proceedings. Before the hearing date, start collecting and organizing all the necessary documents that support your cause. Your lawyer will tell you about the documents you will need to produce in court during the child custody hearing. Some of these include visitation schedules, the child’s schedule, custody analysis, phone call logs, and legal paperwork. The judge will, typically, try to decipher who is the “better” parent for the child before deciding on awarding custody. This is what it all boils down to and is quite difficult to prove. Some of the factors at play include the parent’s availability, income, and criminal record. These are taken into consideration so the judge can decide which parent is better than the other and hence, for the child. Work with your local lawyer to understand exactly which factors the courts in your state consider. He/she will be able to guide you on how you can present yourself as the better parent to your child. Both parents are usually required to testify at the custody hearing. Sometimes, the testimony plays the decisive role in the judicial proceeding. Focus on doing your best in this aspect. Further, you will also need to prepare for responding to cross-questioning by the other parent. This can include some intense interrogation, and you need to be ready to face this challenge if the need arises. You can speak to other individuals who can prove to be critical witnesses in the custody hearing. These people are members of your family, close friends, and professionals like social workers. Of course, they will need to be identified for and informed about the hearing well in advance as they will be summoned by the court for making an appearance. They will also need to prepare for it accordingly. It is obvious that parents involved in a child custody case need to put their best foot forward in court, or they can lose custody. Talk to your lawyer about what proper courtroom etiquette entails, the dos and don’ts, and how you’re expected to behave. If you can, practice with your lawyer in advance to gain confidence. In addition, focus on making a good first impression by dressing appropriately as the judge may form an opinion of you based on your appearance. It is, therefore, crucial you dress to look who you are – a responsible, sensible adult. Keep your attire ready accordingly. You and your attorney will probably discuss the ideal custody scenario. This can mean sole custody, a 50/50 custody or weekend visitation rights. To achieve this, you will need to produce sufficient arguments and evidence in your support in court. However, be mentally prepared for a less-than-ideal verdict during the custody hearing. This will help you come to terms with it in a quicker and healthier manner. It can also help you gear up for a co-parenting arrangement. Child custody hearings can be daunting, but with sufficient preparation and help from an experienced attorney, you can significantly up your chances of winning the case. This entails doing your homework in terms of paperwork, creating a positive first impression, readying testimonies and witnesses, and making the most of the chance you get to interact with the judge by adhering to the above points. This way, the judge will be able to see that you’ve put in ample effort in your endeavor and perceive you as a proactive, responsible parent. Discuss all these aspects with your lawyer so you can give your best shot and get the verdict you deserve. The post 7 Things to Keep In Mind When Preparing For a Child Custody Hearing appeared first on Divorced Moms. Are Safe Zones The Answer To Dealing With High Conflict Personalities In Custody Disputes? Would you use a safe zone for custody exchanges? As I checked the local news, one story, in particular, caught my eye. The headline read, “Jackson County sets up two safe exchange spots.” Proposed by an employee in the county prosecutor’s office who believed a safe exchange place would have been beneficial in her personal experience, the county commissioners bought into this idea, installing signage and providing 24-hour surveillance at two police department locations. Jackson County’s purpose was to ensure some modicum of safety in dealing with child custody disputes. However, the idea is not the first of its kind. In fact, this potential co-parenting tool began as a mechanism for commerce. With the high incidence of online transactions on eBay, Craigslist, Facebook Yard Sale, and others necessitating in-person meetings, states across the country including Michigan, Virginia, Louisiana, and California to name a few, began creating “Safe Exchange Zones” or similarly named locations. The idea is to discourage fraud and violence during transactions by assuming that those engaged in or planning to engage in such activities would not choose to do so at a police department. In addition, the added protection of surveillance could up the ante on potential criminal activity arrests. But it was soon realized that these safe locations also could be used in child custody disputes to surveil any potential domestic violence or custody issues. Police departments nationwide began to realize that safe zones may be the ideal solution to emotionally charged situations and began advertising them as such. Soon, these safe zones were deemed dual purpose and have been on the rise over the past five years. Online research indicates that more safe zones are popping up at police departments and the call from the public is for additional zones in more cities and municipalities across the country. Often in divorce cases where children need to be shuttled between parents, a judge or mediator will appoint an intermediary to act as the go-between in custody exchanges. I have known people in the past who have acted as intermediaries in volatile custody situations. The intermediary would meet up with one parent and walk the child to meet up with the other parent thus deterring any untoward behavior between the individuals involved. Yes, in one case it worked soundly for about 13 years. But could safe zones be the new answer to the age-old issue of emotionally charged situations without the use of an actual human intermediary? Opponents say that safe zones are ripe for additional violence, that no safe place will deter a party from causing harm if they have a mind to do so. They argue that this trend is dangerous because only human interaction can institute the safety protocols necessary to reduce or prevent the risk of violence. According to some, these exchange zones may work for merchandise, but they never should be used as a safe place to exchange children because children are a much more valuable commodity. Still, proponents attest that any additional safety precautions in high conflict environments is never a bad thing. Custody exchanges in well-lit, surveilled, police department parking lots provide more security than is usually available for the everyday exchange. These elements also come with the component of police protection that is available should anything go awry. While the interest in safety zones increases, the discussion will continue as to whether this idea will combat family conflicts and potentially decrease anxiety and even violence in custody exchanges. If you are interested in locating a safe exchange zone in your community, you can search “Safe Deal Zone Near Me” online. Or if you are interested in creating a zone in your community, contact your local police department for information. The post Are Safe Zones The Answer To Dealing With High Conflict Personalities In Custody Disputes? appeared first on Divorced Moms. http://family-court-corruption.com/wp-content/uploads/2018/07/are-safe-zones-the-answer-to-dealing-with-high-conflict-personalities-in-custody-disputes.jpg 533 800 admin http://family-court-corruption.com/wp-content/uploads/2018/06/800px_COLOURBOX7350498-300x151.jpg admin2018-07-10 14:09:442018-08-10 17:33:01Are Safe Zones The Answer To Dealing With High Conflict Personalities In Custody Disputes? There should be no doubts as to the very real existence of parental alienation syndrome. A rose by any other name is still a rose. Shortly after my divorce was final my ex started a systematic brainwashing of my children. For her, divorce was unacceptable and when I chose to leave our problem-riddled marriage she viewed it as me abandoning the family as a whole. And, she made it her job to make sure our children felt the same way she did. Within a year of our final decree, neither of my 3 children would see or communicate with me. My children were my life and, being unwilling to do without them in my life I started researching and learning everything I could about parental alienation. Below is a bit of what I’ve come to believe about PAS, the parent who alienates and what needs to be done in such situations. I’m happy to say that, with the help of an outstanding therapist, an educated family court judge and a psychiatric evaluation of myself and my ex wife, within two years I had my children back in my life. Some, though, aren’t as lucky as I and can end up alienated from their children for life. No child or parent (mother or father) should ever have to live the horror of alienation at the hands of a personality disordered ex. The best way to prevent the abuse of parental alienation is to have all families where there is a conflict issue go through specialized, court-ordered counseling with a parental alienation specialist. Or, at least someone with a high success rate who specializes in working with families in grief management, anger management, and impulse control. Why these specialties? Because in 99% of the cases of PAS (parental alienation syndrome), the alienating parent may be borderline narcissistic. They have extremely low self-esteem and believe they have to be perfect or they are not loveable. And if they are not loveable, then they will be abandoned. And this is their biggest fear, being abandoned. For this reason, they will do anything to make sure that they are seen as the perfect and only parent for the children. You can add to this the fact that they are stuck in the anger stage of the grieving process of divorce and cannot move forward. They constantly project their issues and anger onto and through the children or what I call Borderless Boundaries. These parents need help to grieve properly as do the children. It is imperative that proper parental alienation education and training be provided to divorce attorneys, counselors, therapists, child agencies as well as to the family court and judges. Without proper education and awareness, the damages caused by aligning the children with only one parent will be horrific and permanent. Children have the right to both parents in their lives. There is no room for false allegations and contempt of court orders. The courts need to start penalizing for these transgressions. Until this is done, families will continue to be ripped apart and the children made to suffer. Regrettably, this suggestion MAY serve to help only the PAS child, someday but not immediately. It may have no impact in facilitating the reunification between a parent and their child, at least not initially. This may offer only the hope that your legacy to your child will be aware of the truth. Many knowledgeable professionals have likened parental alienation to cult indoctrination. But this issue is immeasurably more insidious: whereas victims of cult indoctrination are not initially in a dependency relationship with the cult leader and therefore had the option to reject the indoctrinator, children are very much dependent upon their brainwashing parent. Because of the dependency needs of children, resisting the alienating parent, who is generally but NOT ALWAYS, the residential parent, can be terrifying to them. So as despicable as these children treat their targeted/alienated parent, they have no good options for escaping this dysfunctional family dynamic. They are in a no-win situation, a double bind, a catch 22. Their situation is crazy-making, which explains why the psychiatrists who eventually founded the family therapy movement in the 1950s first observed ON THE PSYCHIATRIC WARD the characteristic family dynamic of parental alienation syndrome. Child psychiatrist, Murray Bowen, had labeled this dynamic as the “Pathological Triangle.” He was so convinced as to the detrimental effects on children of this dysfunctional coalition between one parent and a child to the minimization and disengagement of the other parent, that when he hospitalized the child, he also hospitalized the entire nuclear family! Yes, although it is accurate to credit child psychiatrist, Richard Gardner, to have first labeled this family dynamic as PAS, the family dynamic has nonetheless been observed and systematically documented by psychiatrists/family therapists for more than 60 years. For the naysayers, like Janet Johnston, Joan Kelly, Stephanie Dallam of the Supervised Family Network, there should be no doubts as to the very real existence of parental alienation syndrome. A rose by any other name is still a rose. The post What I Learned About Parental Alienation When I Was Alienated From My Children appeared first on Divorced Moms.